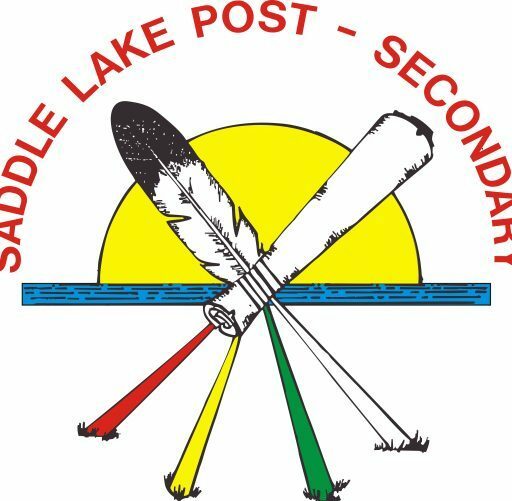 The Saddle Lake Post Secondary Grad Project has been approved by both the Saddle Lake Chief & Council and the Saddle Lake Education Authority to assist the Post Secondary Program in updating current graduation lists, particularly prior to 1993. It will also attest to the Saddle Lake First Nation’s successful administration of its Post Secondary Education Program since their take-over in 1986. The Saddle Lake Post Secondary Program has created a Wall of Recognition of all our SLPS Post Secondary Graduates to honor their accomplishments, create Community Pride, & encourage our future generations to follow their dreams. A one-time incentive will be issued to past graduates (with 61(a) status only) based on submission of their application and photocopy of the highest credential (including transcripts) achieved prior to 1993. IMPORTANT: Please note that graduates who had completed a Masters or Doctoral level of studies will be required to submit their thesis or project(s), prior to release of their incentive. We are updating our Resource Library (located at the back of the Education office) so that students can have access to the research . We want to show our gratitude to a few valuable members of our community who have and are contributing their expertise on this project. We are so excited and looking forward to seeing this project become a reality as we know you are all anxiously waiting patiently to see also. Tansi Everyone…we are moving along still working on the graduation project. I have returned back to school for my last year in university and will only be coming into the office on Fridays from 8:00am – 4:30PM (4:00pm every other week due to Saddle Lake Cree Nation (SLCN) Administration policy) until the project tentatively wraps up April 30th, 2012; however, Erica Makokis is working diligently to cross referencing files & ensuring former & current student’s files are complete with all documentation. If you are unsure if your file is complete and you received a credential in the past, please feel free to contact our office at 1-800-668-0243. We are not only ensuring all transcripts & credentials (degrees, certificates) prior to 1993 are in the file but ALL transcripts & credentials you may have been received/acquired over the years (this includes any not sponsored by our SLCN Post Secondary Department). A lot of the research has been completed pending some applicants documentation; once we have the majority of verified accreditation, we will be displaying the Saddle Lake Cree Nation band member’s name & accredited certification in the form of a plaque within the Display Case recently installed in the Main Band Office Foyer. As mentioned before, we want to celebrate and show our appreciation for all the former students hard work and honor the challenges they faced while working towards the pursuit of fulfilling their dreams. This display of credentials is also geared towards Community Pride & to encourage our youth, community members; and all human beings to follow their dreams! We are a vibrant and rich community filled with amazing people who have many unique qualities academically & culturally; which enhances and compliments our community & nation in the spirit of education…you are our youth’s Role Models! The major part of the initial research on this project ends April 30th, 2012; however, this is a living project and will grow as former and future graduates are added to the Wall of Recognition. Therefore, as a “Living Project” receipt of applications will be ongoing. Please ensure you have forwarded your Graduation Project Application to our office to see if you qualify for an incentive for any credentials received prior to 1993 (please include all transcripts & credentials received on application). Any future graduates go through the SLPS general incentive request as per applicable SLPS Student Policy requirements for the year of graduation. Please attach ALL copies of Credentials with transcripts you received which are considered Post Secondary level. Ronald (Guy) Cardinal completed the display & installed the cabinets in the foyer this past weekend. The” Wall of Recognition” is becoming reality…we will keep you posted! WE ARE STILL LOOKING FOR APPLICATIONS…see if you qualify. There will be an official Tentative Cutting of the Ribbon Ceremony scheduled for the end of August 2012. We are still working on the logistics and we’ll keep you informed. In addition to this physical display in the main foyer, our website will be publishing the numbered results of our research once official approval has been granted. As a reminder, this is a “Living Project”, therefore, the project is always growing as qualifying band members present their application and accreditation documents in order for our office to process and record their success(es) for display in the foyer and on our website. If your most current transcripts indicates you have been granted a credential from your officiating educational institution, a copy of your certificate (credential) may not be required as part of the Application Process. i.e.. Listed at top of most current transcripts: Bachelor of Arts, Athabasca University, granted June 14, 2011. Please inquire. i also complete my pre Ucep 2007, my ACSW certificate 2011, and this year my HCA certificate how would i submit my name and info? Hi Olivia, you can either send you application and waiver form by fax at 780-726-4069 or via email to myself at bettyanncardinal@saddlelake.ca or drop off at the office. you can find all the information that you may need including our application on our sponsorship and application procedures tab. If you have any questions, please give myself or Bernadine Houle-Steinhauer at call at 780-726-7609 or toll free at 1-800-668-0243. Deadline for Fall 2013 is JUNE 1, 2013. Thank you for contacting us. We have your UCEP documentation; however, need your Disabilities transcript updated that states you were granted your credential, then I can issue a name plate to be made. In addition, once your BEd Degree is complete, please hand in your official transcripts listing your degree granted and a copy of your parchment. Furthermore, please contact the office and speak with the Student Advisor, BettyAnne Cardinal for more information and also review the Student Handbook and Policies for additional information.